Check out the latest blog from Ryan Lanclos, Director of Public Safety Industries on the first of a two-part story about damage assessment for the devastating tornadoes in Lee County, Alabama. First responders use maps and apps for damage assessment to prioritize response and find victims. The National Weather Service uses GIS to collect, map and classify the extent and track of each tornado’s path. Automated preliminary response estimates speed assessment and rescue work. Read the full blog at https://www.esri.com/about/newsroom/blog/authorities-map-and-model-damage-from-deadly-alabama-tornadoes/. Download the New Law Enforcement eBook Today. Advances in police technology and the evolution of modern systems are transforming policing. Sensors have become ubiquitous and include automatic vehicle location (AVL) and license plate recognition (LPR) technology, closed-circuit television (CCTV), body-worn cameras, gunfire detection systems, and drone platforms. Police data systems have also evolved. Computer-aided dispatch (CAD), records management system (RMS), and business intelligence (BI) technologies are becoming increasingly sophisticated and producing larger, more robust datasets. Leading law enforcement agencies are linking all these information systems with GIS technology, giving police the ability to make data-driven decisions like never before. FEMA has combined a number of applications that are part of the FEMA GeoPlatform to create the Hurricane Incident Journal. This story map provides relevant and up-to-date data and tools that provide spatial decision-making support to FEMA leadership. The journal is available to the general public to provide a greater understanding of storm events and a view into the federal information that comes together to inform disaster response. In addition to the individual applications, the Hurricane Incident Journal contains dialogue about each map and links to further resources. The modeled damage assessments are based on flood depth grids and verified using satellite imagery. Wind data comes from the National Oceanic and Atmospheric Administration (NOAA). Satellite imagery and other remote sensing inputs are from NASA and the European Union’s Copernicus program. Weather data comes from the National Weather Service. Flooding models are informed by stream gauge sensor data feeds from the US Geological Survey. Additionally, these applications draw on data from joint field offices, disaster recovery centers, shelters, and other sources. Esri’s geospatial cloud platform, ArcGIS , provides the means to deliver these lightweight applications. These dashboards and interactive maps incorporate an array of inputs to provide a quickly understandable common operational picture—condensing the time between data and decisions. For more information on active hurricane response, please visit the Esri Disaster Response Program at www.esri.com/disaster. A new interactive story map provides a place to share photos from the 2018 hurricane season. People can quickly post photos of preparations and the impacts from this year’s storms. The photos appear on a map alongside projected storm paths, providing an on-the-ground perspective of these events as they unfold. Visitors to the map can zoom in to see the photos related to specific areas or can browse through all the images to get a broad overview of storms. The story map is the work of the National Alliance for Public Safety GIS (NAPSG) and GIS Corps. NAPSG has compiled a number of helpful resources for GIS practitioners who are preparing for these events. GIS Corps volunteers are poised to assist communities by applying GIS skills to aid recovery efforts. The app is designed to engage those on the ground in these areas as well as those bearing witness from afar. Participants are encouraged to upload images from social media channels that contain an identified location. The images and map provide a compelling interface to gain a greater understanding of 2018 hurricane damage at the ground level. This map can also be found in the public apps gallery for the Esri Disaster Response Program - monitoring events 24/7 and here when you need it most. If your capacity has been exceeded and you need geospatial support, Request Assistance online today. In 1980, a few days after graduating from the police academy, I responded to the homicide of a corrections officer named Bryan Pickett. (Bryan graduated from my high school a year before me.) The only address information the 911 caller provided was, " . . .in Sullivan's Hollow." Pickett was found lying in the middle of the road with a gunshot wound to the head—his vehicle was still running. Then (40 years ago), we relied on the Polk Directory for address information, but it rarely had place-names or aliases to help. If you were unfamiliar with your surroundings, finding the location became much more challenging. Pickett's killer was never officially identified or charged, and I often think about him, wondering if better location information could have reduced the time it took to get first responders to the scene. He probably wouldn't have survived the shooting, but his assailant might have been apprehended. Location image: This 1980 image is courtesy of the Utah AGRC Open Data Portal. Using ArcGIS, the image was geolocated on a topographic map, and a swipe map of 2018 imagery, courtesy of Nearmap, was added. Scan the QR Code to view a web application on your mobile device. UTAP Cold Case image courtesy of the Utah Attorney General's Office. Weber County Polk Directory image, Digital Collections, Stewart Library, Weber State University. After my law enforcement career, I was fortunate to join the Esri public safety team, a group of retired police, fire, emergency management, and national security commanders who maintain their passion for ensuring public safety. My focus has evolved to spending more time with the members of the emergency call-taking industry—the initiators of all public safety response. As I have participated in discussions around the world on the Next Generation 911 (NG911) initiative, I marvel at how far we've come and how much still needs to be done. Migrating the antiquated analog systems of the past to powerful digital solutions that consume large amounts of data in real time is a daunting task, but it is a task worth doing. Providing first responders with authoritative address data they can follow and trust is paramount. The promise of improved 911 caller location has been the focus of public safety telecommunicators, national trade organizations, and federal oversight agencies for a long time. Each collaborative effort brings increasing hope that we are making things better. In some arenas, the vision of "what could be" has now become the reality of "what is." At Esri, we're working tirelessly to help our CAD/911 partners embrace geographic information system (GIS) capabilities that offer best practice architecture for address database creation and management. We're guiding agencies around the world as they migrate their 2D geographic data to 3D, preparatory to z-axis information coming to the Public Safety Answering Point (PSAP) center. Our easy-to-configure web applications are used globally, including on the FirstNet network. Now, there's a game-changing way to access accurate smartphone device location and additional emergency data from Apple, Uber, other apps, and connected devices. Please join the experts from Esri, RapidSOS, and GeoComm as they discuss the RapidSOS NG911 Clearinghouse. You can register here. Just before my retirement, I read a quote by Theodore Roosevelt in the office of an assistant chief of police. Recently, I heard it referenced during the funeral of Senator John McCain. I think it fittingly applies to those of you who are trying to bring NG911 to fruition. I'll close with an excerpt from Roosevelt's speech, Citizenship in a Republic. Register for the NG911 device location webinar Accessing Location Information from Smartphone Devices. Download the eBook on 5 Ways GIS Empowers Next Generation 911. Citizenship in a Republic, https://en.wikipedia.org/wiki/Citizenship_in_a_Republic. Early September historically sees the most disaster damage in the US, because it’s the height of the hurricane season in the Atlantic Basin. In time for this busy season, FEMA has released Preliminary Damage Assessment (PDA) templates for Survey123 for ArcGIS. The templates streamline data collection on handheld devices and mark an ongoing digital transformation from traditional paper forms. A PDA report is mandated by Congress in order to determine if disaster damages warrant a presidential major disaster declaration and the funds that come with it. The templates address one of the primary goals of FEMA’s new strategic plan—to reduce complexity—making it easier and quicker for communities and individuals to receive the assistance they need. The PDA process starts at the local level where damage details are initially collected, shared, and validated by State, Tribal, and Territorial authorities. These entities generally have 30 days from the start of an incident to determine whether or not federal assistance in the form of FEMA Individual Assistance, Public Assistance or other federal programs may be necessary. Many local authorities thankfully face disasters for the first time or go decades between events. For those new to the process or refreshing their understanding, the process is well-documented in a detailed manual. However, the level of detail is hard to process in the immediate aftermath of a disaster event. The template approach has been in the works for some time. It has been tested in pilot programs with state and local authorities. Refinements have reached the point where it’s ready to be shared broadly with the emergency management community. This process isn’t a great leap forward in time savings for individual assessments, but it greatly improves accuracy and overall reporting. In testing, it takes a bit more time than paper because the step-by-step form-based approach requires that each field be filled out for each assessment. With this template approach, “We’re getting all the pieces of information that we hope to collect, whereas we had gaps in the paper-based process in the past,” Densford said. This improved accuracy also relates to improved location details. With Survey123, location is automatically registered to the damage details and photos of the damage, making map-based reporting as easy as hitting a button. Work is ongoing on streamlining the data flow from the data being collected in the templates to the Public Assistance grant program system (PA Grants Manager). This next step promises to speed the flow of funds needed to rebuild, repair or replace damaged infrastructure in impacted communities. Learn how to configure and optimize the FEMA Preliminary Damage Assessment templates using Survey123 in this GeoNet post. The 38th Esri User Conference (Esri UC) was an incredible success. When nearly 18,000 Esri geographic information system (GIS) technology users gather for a week of learning, networking, and sharing ideas, the result can only benefit all involved. The content ranged from integrating data from “low earth orbit” satellites to dealing with a total solar eclipse “where the sun don't shine”. This was my first User Conference since becoming an employee of Esri, and while I had attended the Esri UC previously as a user, my role this year provided a new perspective on the event. It was humbling to see the commitment of Esri personnel to our user community. Our only focus is to support our users, to see them succeed, and to serve. It is through this servant role that we see the incredible accomplishments of our users. For those of us in the public safety industry, these accomplishments mean saving lives, preserving property, and protecting the environment. The 2018 Esri UC had multiple examples of GIS leveraged to do just that—maintaining safe communities and protecting our neighbors. For the public safety team, the event started with the National Security and Public Safety Summit (NSPSS) @ Esri UC. The theme this year was Prepare for the New Normal—explore new ways to overcome increasingly complex and unpredictable threats and hazards. This two-day preconference event had its largest attendance to date. Over 450 defense, law enforcement, fire, emergency medical, and emergency management personnel gathered for presentations about the successful use of GIS. These NSPSS presentations covered topics including responding to wildfires, managing significant events such as the Super Bowl and the NCAA Final Four tournament, and sharing data with multiple agencies to coordinate preparations for and response to disasters. Local, state, federal, and international agencies demonstrated how GIS is used to prevent, assess, and respond to incidents. As an example, the European Union (EU) Satellite Centre presented on the use of satellite data to provide geospatial intelligence to a wide range of users within the European External Action Service and the EU member states. This presentation showcased the use of Esri technology, ranging from analysis performed on the desktop to the services being delivered through portals, from the management of the migration crisis to the support for the dismantlement of chemical weapons depots in Syria. The theme of this year's Esri User Conference was Inspiring What's Next. As always, the main event began with Jack Dangermond presenting his vision at the Plenary Session. While his vision included where the technology is going, Dangermond started the week by having all in attendance consider what's next for our planet. What does that mean to individuals, families, and our communities? We live in a complex, interconnected world, and we can use geography to connect us. This constantly changing world creates many challenges—climate change, drought, deforestation, pollution, increasing urbanization, and many others. These challenges require us to fundamentally understand our world, as understanding precedes action. The Science of Where provides the framework and process for applying geographic knowledge that we can use to change our world. You can watch the 2018 Esri UC Plenary Session https://www.esri.com/videos/?event=594d5ac051b03b9718bde52b&title=Esri%20User%20Conference if you missed it earlier. The Plenary Session maintained the Inspiring What's Next theme with a discussion of the emerging capabilities for the Esri platform. These capabilities include augmented reality, the Internet of Things, artificial intelligence, and machine learning. The increasing use of embedded devices in vehicles, clothing, and our environment—all with a geographic component—will impact our lives every day. With 3D capabilities providing a better understanding of our environment, first responders can—in seconds—identify the location of a person needing help, such as which floor in the building the person is in. GIS removes the technological complexities to allow us to solve real problems easily. The latest release of ArcGIS Pro can help you visualize, edit, and analyze your geographic data in both 2D and 3D, providing full context to the area you are mapping. You are able to easily share your work—from mobile web scenes to paper maps—creating tailored experiences for different types of users. ArcGIS Pro 2.2 has many new features that are exciting, particularly when it comes to editing in 2D and 3D; performing quick visibility analysis; and sharing your 3D content on any device, anywhere, anytime. Esri's ArcGIS Living Atlas of the World continues to evolve and provide multiple data sources for our users. One example of Living Atlas data is Sentinel-2 imagery for the entire planet. Each place on earth is reimaged every five days, and the data is updated daily. This service provides imagery and infrared views. The rich content of the Living Atlas is brought together in the Earth Systems Monitor. The monitor allows you to view climate data, real-time weather conditions, and urban development as well as a global human footprint map. You can review some of the Sentinel-2 capabilities at sentinel2explorer.esri.com/. The week continued with multiple technical workshops on subjects ranging from basic GIS capabilities to in-depth data analysis and application use. These technical workshops can be reviewed at esri.com/videos/watch?playlistid=PLaPDDLTCmy4Z27yCYMJkyxj3WHtFBW08l&title=2018-esri-uc-technical-workshops. One of the event highlights for Esri staff is the direct interaction and support we provided to our customers. For the public safety team, these exchanges primarily occurred in the Public Safety Neighborhood at the GIS Solutions Expo. This area allowed us to provide one-on-one demos, answer questions about solutions, and demonstrate solutions from our partners. There were also comprehensive presentations by our skilled staff in the Operations Platform for Safety/Security (OPS) Center Theater. The Esri UC always focuses on our user community and its success. Throughout the conference, attendees could join other users during their presentations about the use of GIS. One of the most interesting sessions I was able to attend was about one community's effort to deal with "Where the Sun Don't Shine"! Trich Van Wagner, GIS manager for Bonneville County, Idaho provided an extremely entertaining presentation about how the county used GIS to manage the influx of visitors in the Idaho Falls area for the August 21, 2017, solar eclipse. Hundreds of thousands of people across the nation were vying for the best viewing spot, impacting localities across the nation. Van Wagner and Bonneville County staff leveraged GIS to create incident maps and web apps for local government use. They mapped campsites and emergency response resources, and they used mobile applications such as Survey123 for ArcGIS and the ArcGIS environment to provide real-time incident data. This data was analyzed and communicated via story maps and dashboards. This presentation clearly demonstrated how The Science of Where helped provide a safe and efficient response to this significant special event. Dangermond clearly stated that the goal of this year's Esri User Conference is unchanged from 38 years ago: to be together, learn from each other, share knowledge, and—from time to time—have a little fun. By all indications, we met this goal in 2018. The Thomas Fire was a wildfire that affected Ventura County, California, in December 2017. It burned approximately 281,893 acres becoming one of the largest wildfires in modern California history. The Thomas Fire caused two fatalities and destroyed at least 1,063 structures while damaging 280 others. The incident required the evacuation of over 90,000 residents. The Ventura County Fire Department covers a county of 850 square miles with 950,000 residents. The fire department is innovating the use of technology in response to wildland-urban interface incidents. Ventura County has had some of the largest fires in California history and regularly responds regionally to support its neighbors. The fire department coordinates this response with the California Department of Forestry and Fire Protection (CAL FIRE) and the California Governor's Office of Emergency Services (Cal OES) at the state level. The capabilities of agencies responding to these incidents are the best they have ever been. Despite these capabilities, this fire was one of the largest in state history. Environmental conditions, such as weather and fuel management, drive the occurrence and severity of these incidents. The intense Santa Ana winds fueled the Thomas Fire. The increase in the severity and number of these incidents requires the use of technology to improve the effectiveness of the response. The Ventura County Fire Department deployed field observers to provide an initial assessment and an incident map and to begin to develop a common operating picture of the fire. The weather conditions preceding the Thomas Fire indicated the need for increased preparedness. Ventura had just deployed resources to other wildland incidents prior to the Thomas Fire. When the fire grew at such a fast rate, nearly all available resources were committed to rescue and evacuation of residents. This hindered the ability of field observers to perform the initial assessment, delaying the development of the common operating picture. The county emergency operations center was assisting with the management of evacuations including the use of a reverse 911 system. In the midst of this operation, the area lost power complicating the evacuation effort. Fire department personnel were estimating the fire perimeter, and this information was being communicated through traditional and social media. Examples of the mapping products used during the Thomas Fire response are shown below. These products include web and mobile based applications. Ventura County Fire Department personnel used mobile devices to collect data in the field and transmit that data in real time. Frontline personnel viewed and updated the map from a mobile device. Cal Fire's Situation Unit assumed the responsibility of developing the incident map. As the fire progressed into multiple operational periods, data from aerial reconnaissance, remote cameras, and Moderate-Resolution Imaging Spectroradiometer (MODIS) satellite was included in the mapping. This data, developed with Esri partner Intterra Group, was communicated to tactical units through mobile devices, shared with the emergency operations center, and sent to outside responding agencies. The importance of using a single geographic information system (GIS) platform to develop and share this data with partner agencies was evident during the Thomas Fire. All map products were updated seamlessly, providing a current view to all stakeholders. Lessons learned from this significant incident included developing policy and practice to share information electronically. The traditional methods are effective, but paper-based information products can prove to be difficult to maintain with real-time data during a fire incident. The fire ground changes rapidly under extreme weather conditions, so field units must have the most up-to-date information. The development of a common operating picture, the collection of incident intelligence, and the communication of this data must be a priority. The planning cycle must be supported with accurate data. In an incident such as the Thomas Fire, a large number of resources had to be deployed rapidly. These resources needed to receive data in real time as they are deployed. The use of real-time data, GIS, and a common operating picture provided a more efficient, effective, and safer deployment of personnel and resources. Around the world, fire and emergency medical services (EMS) agencies of every size use spatial data to improve their preparedness, response, and risk reduction programs. Agencies gather reliable, actionable information that every fire and EMS professional can use anytime, anywhere. The challenges for public safety agencies are complex, and they continue to evolve every day. There are more demands on agencies from an aging population, the increasing severity and frequency of disasters, and the fact that the role of public safety is changing as we strive to keep our communities livable. The health of a community depends on the effective operation of its public safety agencies, and geographic information system (GIS) technology can improve that effectiveness. The City of Charlottesville, Virginia, dealt with one of these emerging threats in August 2017. The Charlottesville Fire Department was able to leverage GIS capabilities to manage a significant civil disturbance and provide for the safety and accountability of public safety personnel. Esri technology was used to improve planning, communication, and collaboration. GIS enabled faster decision-making for a safer, more efficient response. Responders developed situational awareness, managed resources, and made sound decisions based on reliable data. The Charlottesville Fire Department and its partners in fire, EMS, emergency management, law enforcement, and the health care system experienced a series of unprecedented events that led to the largest deployment of public safety assets in the Commonwealth of Virginia since 9/11, and quite possibly the largest-ever deployment of the Virginia State Police. The Unite the Right Rally drew over 600 members of the alt-right movement along with many organized national protest groups (some with a history of violence), three heavily armed militias, clergical groups, national political figures from across the political spectrum, many local citizens, and international media. Providing triage, treatment, and transportation of the injured and ill.
Providing for responder rehabilitation and medical needs. Maintaining emergency services coverage to the larger community. The Virginia Department of Emergency Management's (VDEM) regional all hazards incident management team (IMT) was deployed to assist at the event. The team immediately began leveraging GIS capabilities as part of the planning process. VDEM and IMT GIS personnel coordinated with the City of Charlottesville's GIS department to produce incident-specific products to manage this special event. A request for support was submitted to Esri's Disaster Response Program to provide additional GIS resources. One of the first requirements addressed by GIS personnel was to define the area of operations and produce an incident map. The same map would be used in all additional products and provided to all decision-makers. This map could be updated in real time, so all responders viewing the map would immediately have an updated, verified map view. This prevented the distribution of multiple versions or outdated mapping products. This common operating picture clearly defines what areas would be managed by the unified command structure, and what areas would remain the responsibility of day-to-day operational resources. Any incident or resource request that fell outside the geofenced area would be handled according to normal response procedures. Those incidents within the geofenced area were to be handled by the unified command for the event. Through the incident action planning process, command personnel were able to establish a management structure that best suited the geographic features of the operational area. As an example, the fire and EMS resources were managed in operations with the following command structure. Participating public safety agencies, the IMT, and VDEM personnel combined each agency's individual operations plan into one unified incident action plan and thus into one common operating picture. Response resources were identified for real-time tracking to allow the closest appropriate unit to be identified and dispatched based on incident type. The Esri Disaster Response Program provided GeoEvent Services for resource tracking in real time. This model not only allowed the dispatching of the closest appropriate resource, but it also increased responder safety and accountability. Command personnel could identify the location of mobile assets, such as walking teams, for deployment as needed. The capability to identify the location of resources became critical as the event escalated. The increasing call load required the quick establishment of task forces made up of multiple agencies. The command staff was able to identify the available resources, pinpoint their location, and determine the best method of deployment. This would not have been possible without the ability to track response resources in real time. The map below captures the available resources that were located at the incident base. The protesters and counterprotesters began arriving at 0900 while some public safety personnel were still in operational briefings. It became immediately obvious that separating the groups would not be possible without significant, high-risk law enforcement engagement with hundreds of armed protesters and counterprotesters. The driving operational concept of keeping the two groups separated broke down almost immediately, resulting in chaos and conflict. As conditions devolved, resources could only operate safely with multiagency coordination. The common operating picture provided by GIS allowed command staff to join responders from any agency to perform lifesaving operations while being monitored from the command post. Technology provides the flexibility to redeploy resources in an appropriate command structure. Units will be pulled together from different agencies and different disciplines. Resources will not be deployed from a static location. Command personnel must be able to determine the closest appropriate resource. Personnel accountability during the event is critical for responder safety. Operations would have failed without Incident Management Team support. It should be noted that a similar gathering occurred in Charlottesville during August 2018. Several groups assembled to mark the anniversary of the 2017 event. The 2018 event had a better outcome, in part due to the further adoption of GIS technology. Chief Baxter of Charlottesville Fire Department noted several issues that impacted the successful deployment of multiple local and state public safety agencies. The first, most important step in fully leveraging GIS for large events is to ensure that all participating entities understand and are committed to the importance of creating a common operating picture. The key agencies in the Charlottesville summer 2018 incident shared that commitment from day one, thereby allowing them to maximize the capabilities of the GIS platform. GIS was an essential component in the planning process and in the execution of the Incident Action Plan. The common platform allowed commanders to rapidly develop a clear understanding of the defined area of operations, deploy and track resources during a dynamic event, and maintain emergency services coverage to the larger community. GIS was also essential in providing regional situational awareness. This was the basis for the successful deployment of over 1,200 personnel across multiple jurisdictions in response to rapidly developing threats on the ground over several operational periods. Public safety agencies worldwide already have access to many of the capabilities used during this significant incident. These capabilities are applicable to daily operations, disaster response, planning activities, and many other areas of public safety agency operations. If you have any questions about deploying these capabilities for your agency, please feel free to contact Esri publicsafetyinfo@esri.com. With fiery lava flow from Hawaii’s erupting Kilauea Volcano prompting urgent evacuation orders, one might expect the last thing on residents’ minds would be cleaning house. 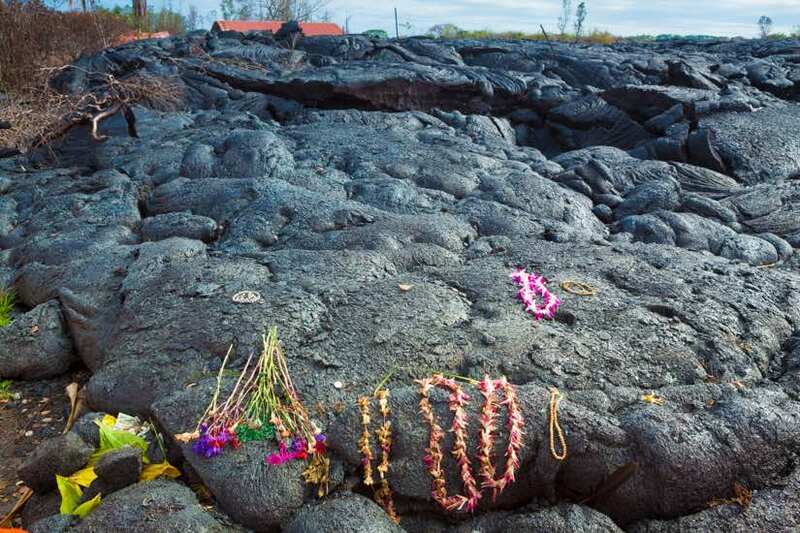 Yet, many locals of Leilani Estates, a neighborhood now mostly destroyed, not only took the time to clean their homes, they also did extra gardening, planted fresh flowers, and left offerings to honor the volcano that was threatening their homes. This last-minute preparation paid respect to Pele, the Hawaiian volcano goddess. Kilauea Volcano continues to wreak havoc in spectacular fashion, spewing billions of gallons of molten lava across the landscape of Hawaii’s Big Island and into the ocean. But the Hawaiian people are pragmatic and accepting, viewing Pele’s activity as part of the natural process of destruction and creation that forms the Hawaiian Islands. They clean their homes to return them to Pele in a good state, since they believe she gave them the land in the first place. This ongoing eruption of the Kilauea volcano, which started in early May 2018, continues to shock geologists. The U.S. Geological Survey (USGS) notes that such an event is unprecedented in the past 200 years, and there’s no telling how much longer it will continue. Already, the Halemaʻumaʻu crater has grown to seven times its previous size by volume, creating almost 700 acres of new land. Hundreds of homes have been destroyed and more are still at risk. Yet, the threat to lives has ebbed significantly since the early days of the eruption when evacuations and search and rescue operations, including a drone strike team, went into full force. Among those responding to the volcanic eruption were a new breed of emergency responders: robots from the Center for Robot-Assisted Search and Rescue, or CRASAR. A five-person team of highly trained volunteers from CRASAR deployed to Kilauea a few days after the eruption. They brought a fleet of small unmanned aerial systems (sUAS), commonly known as drones, to assist in the rescue operations. 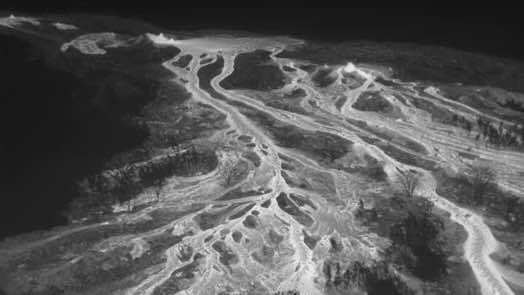 Kilauea provided a new challenge to the team, and they executed the first known use of drones in emergency response to a volcanic eruption. While drones have been used previously to map volcanoes, CRASAR’s fleet was the first to use them to officially aid disaster response. The team’s participation also freed up drone resources from the University of Hawaii at Hilo to focus on geological observations during those crucial first days. Experience with previous disasters prepared the CRASAR team for Kilauea. They knew which questions to ask in an emergency and what their drones could do to assist the operation. The work of drones at Kilauea continues with the University of Hawaii at Hilo performing daily monitoring of the eruption, as reported by CNN. The drones provide a reliable stream of visual information helpful in communication with the public during this kind of emergency. Living in the Houston, Texas, area, my family and friends experienced Hurricane Harvey firsthand. This historic storm dropped more than 60 inches of rain in areas of southeastern Texas. Over a four-day period, Hurricane Harvey dropped enough rainfall to cover Harris County's 1,777 square miles with an average of 33.7 inches of water. We were very lucky compared to many others around us and our property did not sustain any direct damage. Looking at the global picture, we see how acute shocks associated with a changing climate, increasing social unrest, and evolving terrorism tactics are putting more people at risk every day. Compounding the effects of these threats and hazards are the ongoing, slow-moving stressors that underlay the fabric of our world. Chronic stressors, like poverty and aging infrastructure, tend to exacerbate the impact of acute shocks like Hurricane Harvey. As a result, the cost to our communities will continue to rise. According to the National Oceanic and Atmospheric Administration (NOAA), the United States set a new record in the cumulative cost of weather-related disasters, exceeding $300 billion. What used to be unthinkable has become our reality. This is our new normal. Here at Esri, I have the privilege of leading a passionate team that is dedicated to helping organizations respond to incidents of all types and sizes. This team combines the science of geography with Esri's geographic information system (GIS) platform, called ArcGIS, to provide location intelligence 24 hours a day, 7 days a week, for organizations around the world. In the 20-year history of the Esri Disaster Response Program (DRP), 2017 was the busiest year. That is now our new normal. As a geographer, I believe that the element of location is key to understanding. I also believe that having a baseline location intelligence capability in place is a crucial component of being prepared for the new normal in emergency management. Organizations need the element of location to help them make better decisions, and they need solutions that enable these critical decisions to be data driven. Therein is the value of location intelligence. I am often asked what the most common request is for the Esri DRP. People want to know what others are asking for so that they can assess whether they have that capability. It's like they are looking for a benchmark to measure their organization against. I think that is a great mind-set! Now that you know what the most common business challenges are, how do you compare? Do you have solutions for each challenge that, when combined, provide you with the baseline location capability outlined above? If you do, are these solutions integrated on a common operating platform that allows data and information to flow between apps and users? Can you get information out of your business systems and into the hands of partners or the public when needed? If you can answer yes to these questions and you have trustworthy solutions for the challenges above, then my next question is this: how are you using these solutions on a daily basis for your agency's operations? Integrating these solutions into the daily operations of your organization is the next step. Don't just shelve these solutions and expect to "break glass in case of an emergency." Use them to support daily operations, be confident in them, and continually update and maintain them so that you are ready for the next incident. I hope we never have another storm like Hurricane Harvey, but we all know one is coming. Also, other disaster-related incidents like the recent wildland fires in Napa, California, and flooding in Ellicott City, Maryland, will continue to set new records and redefine normal. At Esri, we've learned a lot over the years while assisting our users through the Esri DRP, and I believe addressing the issues outlined above can help you be better prepared. I'm excited that recent lessons learned have resulted in the release of a new pre-configured solution for emergency management operations that can improve your organization's operations during incident response as well as daily, "blue sky" operations. You can download and configure these solutions yourself, or we can provide Esri services to deploy and configure them for you. We can also help you develop a plan for surge staffing in your Emergency Operations Center (EOC), using qualified GIS professionals from Esri to augment your capacity if needed during a response. Esri was founded as a private company in 1969 to help make a difference in the world, and we still carry that mission forward today. I work here because I believe in that mission, and I want to help you be better prepared when it comes to geospatial technology and GIS. I want to help you make a difference in your own organization, in your community, and in the world. It is going to require all of us working together to prepare for our new normal. Let's start working toward that baseline capability together. Natural and man-made disasters test public safety agencies at the local, regional, and state levels on a daily basis. These no-notice events often require regional, statewide, or interstate mutual aid. Such incidents can create an environment where missions and priorities change at a moment's notice. The processes that organizations have relied on for years often put stress on agencies seeking assistance during the initial stages of a significant incident. Modern challenges require a modern approach. Agencies and organizations need tools and operational capabilities to adapt to fluid risks and to support a variety of mission requirements. Today, we must be able to identify the need for assistance, request the appropriate type of resources, locate available resources, deploy them in a timely manner, and analyze the success of those efforts. Through the power of geospatial technology, organizations can now adopt a smarter, more integrative approach to mutual aid. The International Association of Fire Chiefs (IAFC) has identified the need for this approach and, through a partnership with Juvare and Esri, is developing the National Mutual Aid System (NMAS). This application will incorporate the Department of Homeland Security (DHS) Homeland Infrastructure Foundation Level Data (HIFLD) being collected by fire departments across the nation. During large-scale emergencies and disasters, it is critical for response personnel to have easy access to a mutual aid system for managing their resources. The IAFC will manage information sharing, event reporting, and task management in a central, web-based environment that allows the IAFC to effortlessly connect to partner agencies and organizations during response efforts. The IAFC has several initiatives that impact the implementation of a national mutual aid system. These initiatives support the vision of the IAFC and advancements in the use of GIS in the fire service. This includes supporting leadership, governance, and policy development during the implementation of GIS technologies. GIS allows us to increase responder safety, reduce risk, and build stronger relationships with our communities. These geospatial tools improve outcomes through spatial analytics and data-driven decision-making. These initiatives include the IAFC GIS Portal, which links fire chiefs to data. This portal allows fire departments to access existing data layers, create their own data layers, and share data with other stakeholders. This portal (available at https://www.iafc.org/topics-and-tools/resources/resource/iafc-public-safety-gis-viewer) educates fire service members on the value of GIS resources. Using GIS web maps allows responders to share data across jurisdictional boundaries during significant incidents. The portal provides access to Esri's ArcGIS Living Atlas of the World data including Tapestry Segmentation data. Tapestry classifies US residential neighborhoods into 67 unique segments based on demographic and socioeconomic characteristics. The data allows departments to get insights so that you can identify your community members and people in need. The IAFC promotes the use of GIS field applications for real-time data collection. These applications are changing the way incident commanders are making decisions. The ability to collect incident intelligence in real time allows for better data-driven decision-making. Geoenabling field data collection, mutual aid coordination, and logistical support brings the response process into the twenty-first century. This allows us to know where the resources needed for a response are located and where they should be deployed. Recent hurricane responses in Texas and Florida provided case studies on the effectiveness of the technology to support response. The implementation of these field applications provided incident intelligence in real time during the response. Urban search and rescue teams were provided with Esri's Survey123 for ArcGIS field application and just-in-time training during the response to the hurricanes. These teams were then able to collect and submit real-time data to the Federal Emergency Management Agency (FEMA), command personnel, and Emergency Operations Centers during the response. The use of field applications and operations dashboard views allowed decision-makers to coordinate resources based on an assessment of actual field conditions. The IAFC's Mutual Aid Net program began in 2008. It includes a static resource database involving multiple states. There was an identified need to provide geospatial data to support this program. NMAS is the result of this need. It is everyone's everyday mutual aid application. NMAS is the evolution of the Intrastate Mutual Aid System and Mutual Aid Net. It leverages the technical innovation and expertise of WebEOC and Esri, combined with the practical experience of the IAFC with state and local partners. In October 2017, the IAFC, leader in emergency response worldwide, entered into an agreement with Esri and Juvare to build the next generation of NMAS software. In partnership with Esri and Juvare—the global leaders in spatial analytics and health and safety solutions, respectively—the IAFC is excited to bring this valuable contribution to the next stage. The new software version combines Esri's powerful geographic information system, ArcGIS, with Juvare's crisis information management software, WebEOC, to better manage and track emergency service resources during large-scale emergencies that require mutual aid. NMAS is designed for all-hazard mutual aid coordination at the regional and state levels, including systems such as Emergency Management Assistance Compact (EMAC). The IAFC is working with US Department of Agriculture (USDA) Forest Service fire and aviation management on Resource Ordering and Status System (ROSS) data exchange capabilities. Localities will enter and manage their resources in NMAS. Single resources, strike teams, task forces, or mission-ready packages will be entered by the authority that has jurisdiction, and the resource availability will be determined at the local level. During an event, localities and states can create an incident report in the NMAS application. This incident data will provide responders with a common operating picture of the response. The requesting locality can then request resources and filter the available resources by type, location, and cost. The NMAS application will send a request to the resource owner, which may accept or deny the request based on the needs of the resource owner. The system will then route mutual aid resources to the event location. This routing will allow the requesting agency and the resource provider to track resources on the map and know their status during the response. NMAS will provide unparalleled information sharing, decision support, and situational awareness capabilities to jurisdictions, regions, and countries around the globe. NMAS develops the ability to visualize where resources are, where they need to go, and the response time for immediate decision-making and action. NMAS allows for real-time data exchange between system administrators and responders in transit and at incidents. GIS provides the ability to manage data with a visual perspective that easily communicates the resource status during a response. It also allows public safety officials to analyze multiple datasets to determine how these incidents will impact citizens, infrastructure, and the environment. If you have any questions or comments about NMAS or the use of GIS for public safety, please feel free to contact Esri fire, rescue, and emergency medical services industry manager Mike Cox (mike_cox@esri.com), or Jeff Dulin, assistant director of the International Association of Fire Chiefs (Jdulin@iafc.org).